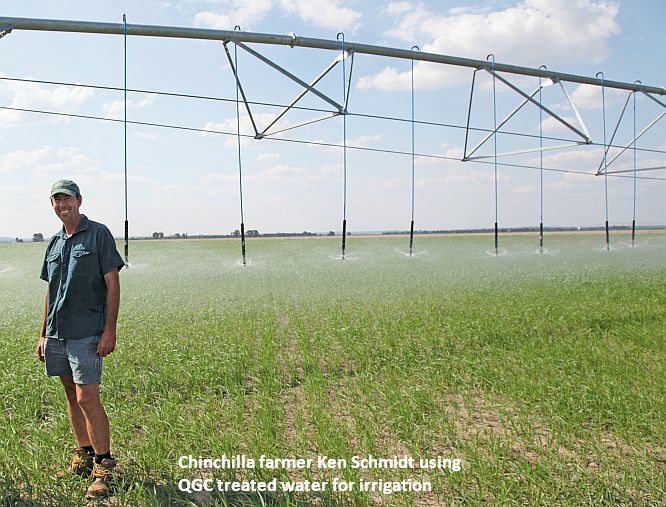 Farmers in Chinchilla, Queensland are benefitting from the availability of treated CSG water through Queensland Gas Company’s beneficial re-use scheme. Greg Bender says he now has a continuous cashflow. “Nearly every month we’re selling something because we’re growing crops all year round,” Mr Bender said. Don Bell says the water supply has given him more flexibility. “It doesn’t drought-proof you, but you can deal with the dry times a bit easier,” Mr Bell said.